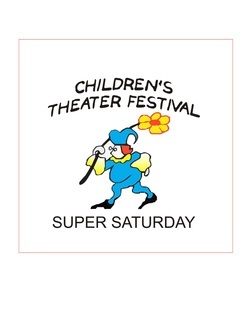 Children’s Theater Festival’s presentation of Super Saturday is supported by grants from the Mary F. Kessler Fund at the Polk County Community Foundation. We are also grateful to the Polk County Community Foundation for administering the George and Ester Moore Endowment Fund, Arthur M. and Frances H. Wilhelm Fund and the Dixie and Harry Evans Charitable Endowment Fund. This project receives support from the North Carolina Arts Council, a division of the Department of Natural & Cultural Resources, with funding from the National Endowment for the Arts.